Club Penguin Cheats by Mimo777 Club Penguin Cheats by Mimo777: Club Penguin Favorite Summer Activity Reviewed By You! Club Penguin Favorite Summer Activity Reviewed By You! My favorite summer activity has to be surfing with my family, why you ask? Surfing brings my family together so we can have laughs and fun instead of fighting for the front seat in the car LOL!! So we have laughs by when i fall my brother laughs his heart away and fun by just seeing that huge wave coming for you and then you start paddling and jump up and then you feel the breeze in your hair and the thrill of balance so thats my activity!!!. 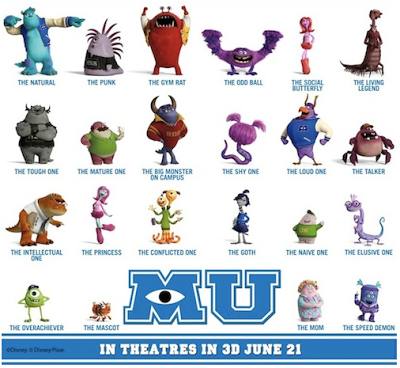 You can see in the image above, some of the Monster University characters For the next Reviewed By You, Club Penguin wants to know which personality do you relate to and, of course, why? My favorite thing to do in summer is also spending time with my family. I act like the overachiever because i get great grades and I want to show people that I am something special, but no one listens to me. So i relate to Mike a ton!